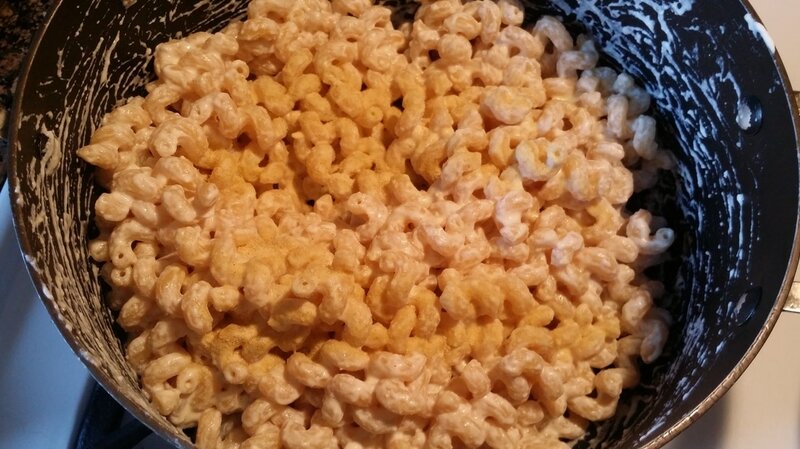 ​During my elementary school days, for some strange reason, I hated Macaroni & Cheese. At that time, my mother used to make the boxed version a lot. I couldn't stand those! They tasted funny. I was even turned away by the fresh versions that didn't come out of a box for fear that they tasted the same. So for the longest, I stayed away from any sort of mac & cheese. Then, around the holidays, I honestly can't remember which one, my mother and aunt were cooking up a storm. One particular dish they were working on stood out. 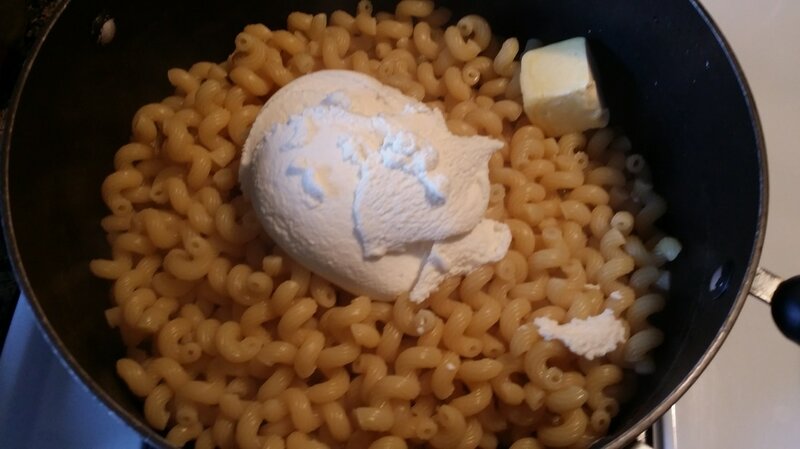 It was mac & cheese but it wasn't with elbow macaroni and it was white! I thought all mac & cheese was the traditional yellow/orange color. Then, I saw them using carnation milk instead of regular milk! Mind blown! Go easy on me guys, I was just a kid and didn't know any better. My aunt asked me if I wanted to taste a little before it went into the oven. I think she expected me to say no. She knew my dislike for mac & cheese. Although I was a bit hesitant, I decided to try. At that very moment, I think I died and went to heaven. My perspective on macaroni and cheese changed forever. Unfortunately, this recipe is NOT the dish my aunt gave me when I was a kid. I wish it was. Even if I asked her for the recipe, she would have no idea what I'm talking about, let alone remember what she put it in. This was a couple decades ago. Yes, I know... I'm old... Instead, I went through several trial and error periods trying to recreate what I remember. 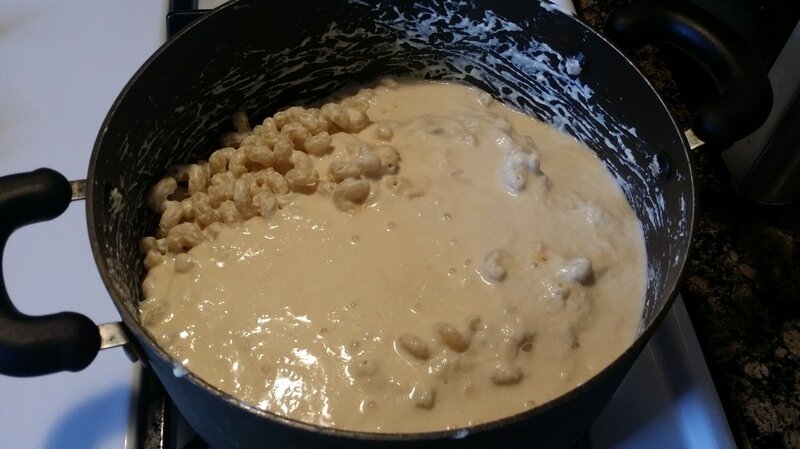 Although it still wasn't close, this is still one of my go-to mac & cheese dishes, especially for a party or get together. This version of mac and cheese combines several different white cheeses. It also includes ricotta which serves as my "binder". 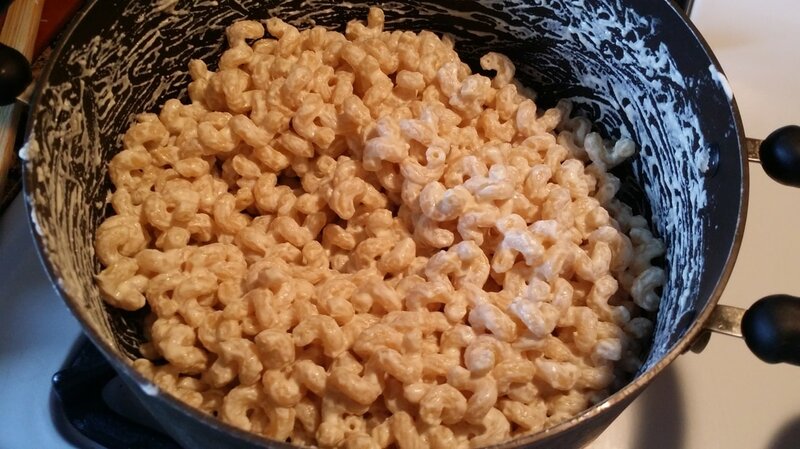 The texture is not loose and creamy. 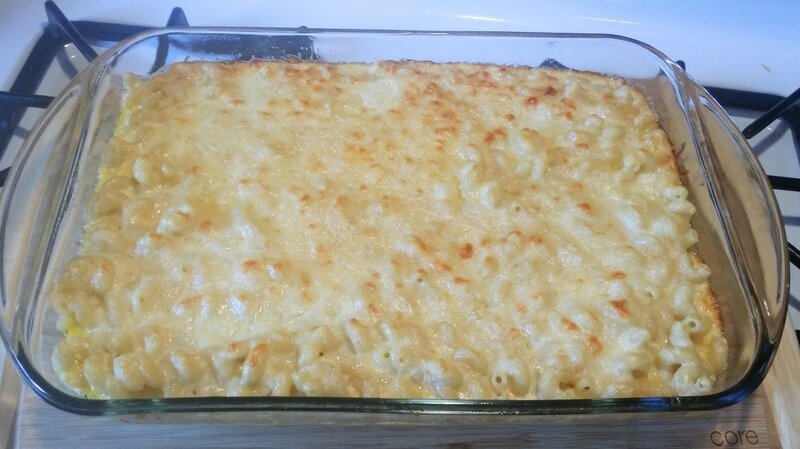 It resembles more of the texture of Haitian Macaroni au Gratin (another recipe I hope to have posted for you soon). Either way, it's really good and I hope you give it a try! ​1. Shred ½ of an 8 oz. 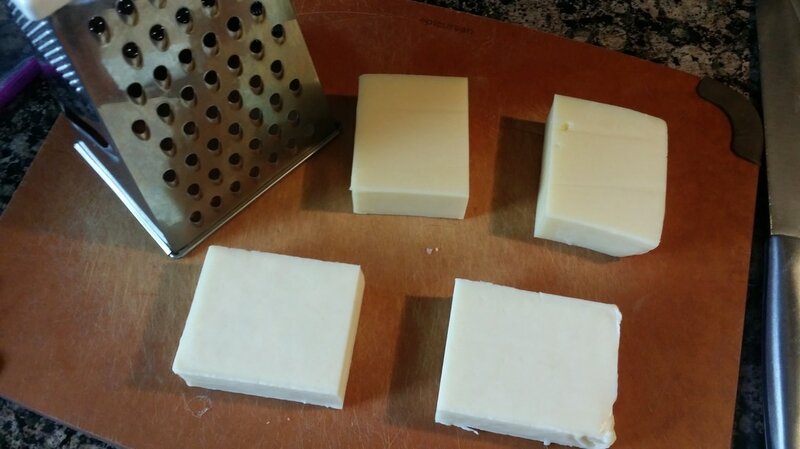 package of Swiss cheese and ½ of an 8 oz. 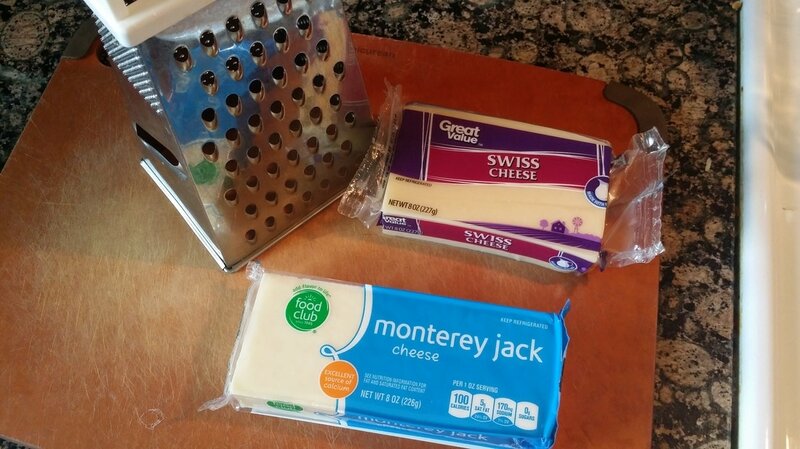 package of Monterey jack cheese. 2. 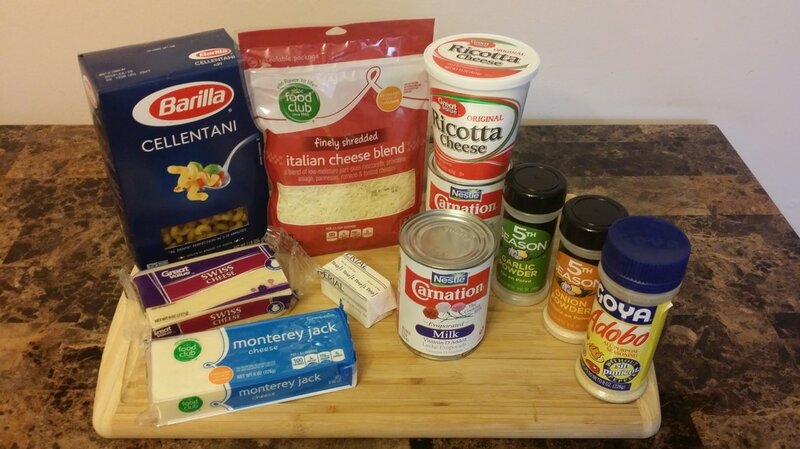 Combine the shredded swiss cheese, Monterey jack cheese, and 1 package of shredded Italian Blend cheese in a bowl. (The Italian Blend consists of mozzarella, asiago, provolone, parmesan, romano & fontina cheeses.) Mix the cheeses together to completely distribute. 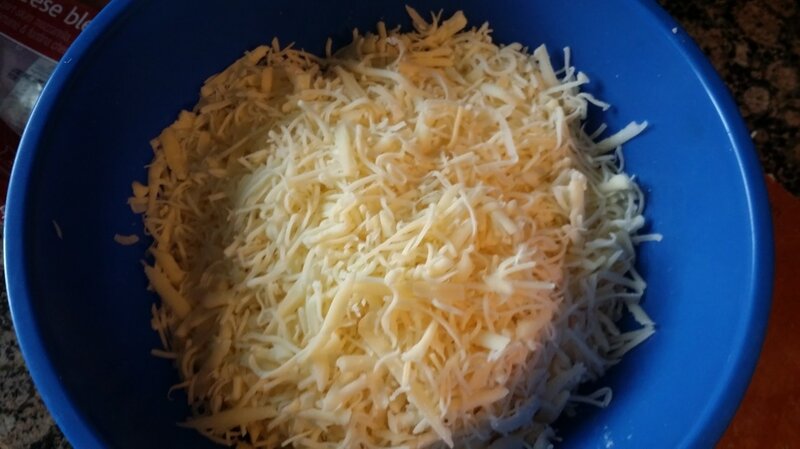 Remove 1 ½ cups of the mixed cheese and set aside. 3. In a large pot, boil pasta according to package direction until pasta is “al dente”. Be sure to lightly salt the water and add about 1 tbsp. of vegetable oil to the water before adding the pasta. ​4. Meanwhile, in a large sauce pan, melt 2 tbsps. 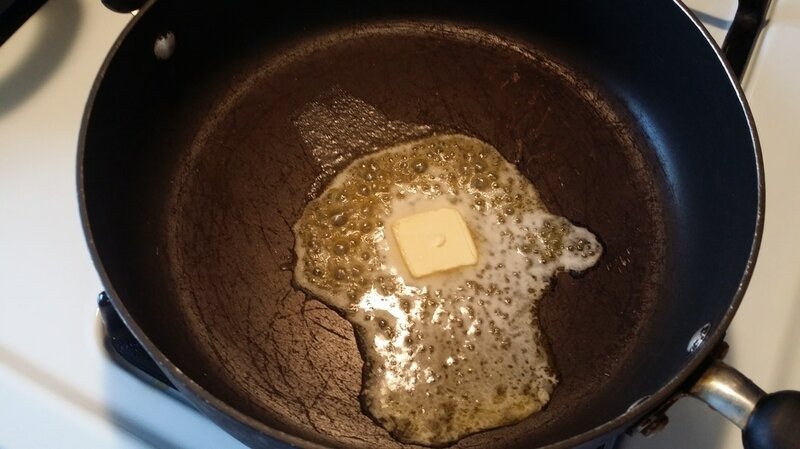 of butter on medium heat. 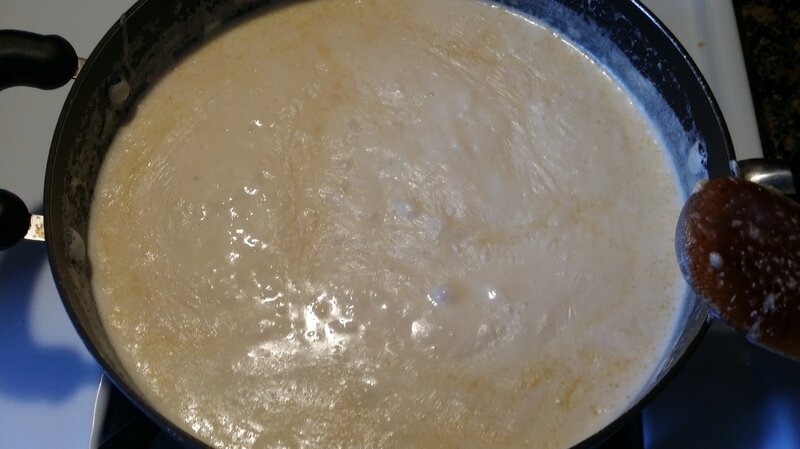 Then add 2 cans of carnation/evaporated milk, 1 tsp. of garlic powder, and 1 tsp. of onion powder. Mix contents and let it come up to a simmer. ​5. 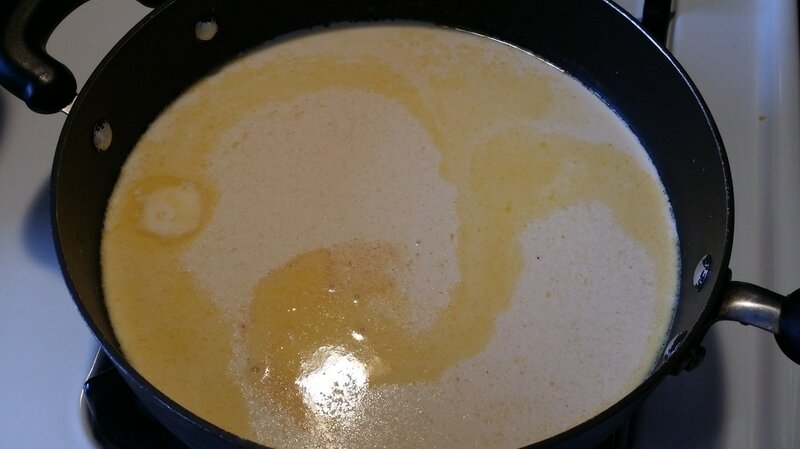 When the milk has come up to a simmer, add in the shredded cheese (not the 1 ½ cup reserve). 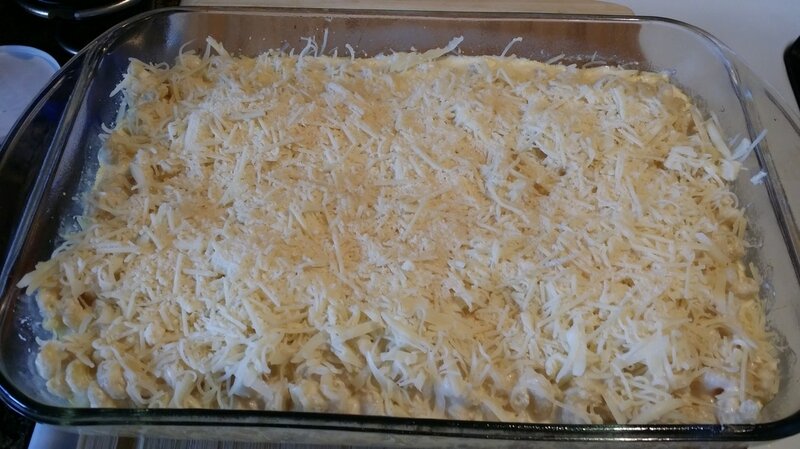 Stir occasionally until cheese has melted and keep heat on low. ​6. Once the pasta has cooked to al dente, turn off the heat, drain the pasta water and return the pasta to the pot while it is still hot. Add in remaining 2 tbsps. 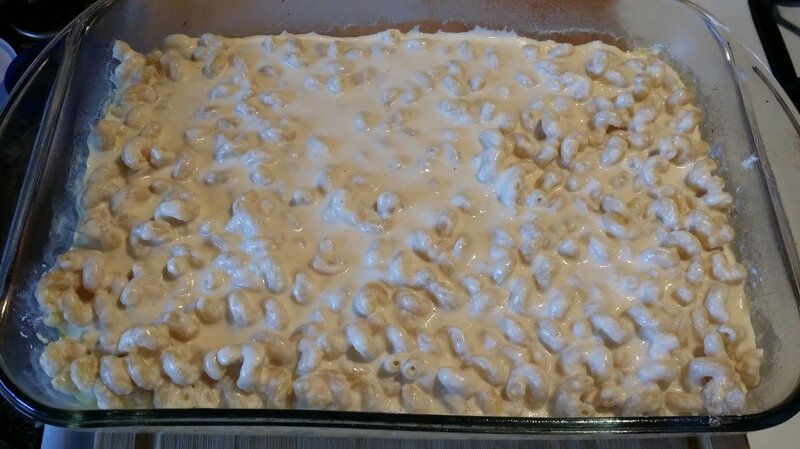 of butter and ½ of the 15 oz container of ricotta cheese. 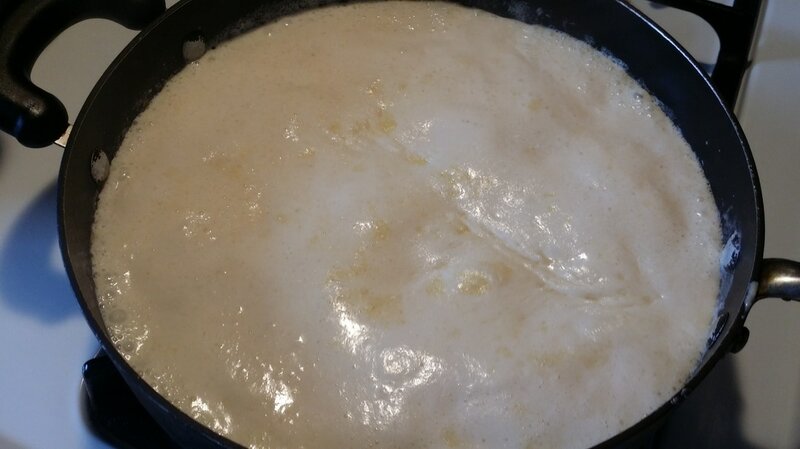 Mix it all together until the cheese and butter melts and fully incorporates. Add in 2 tsps. of Goya Adobo and mix thoroughly. ​7. 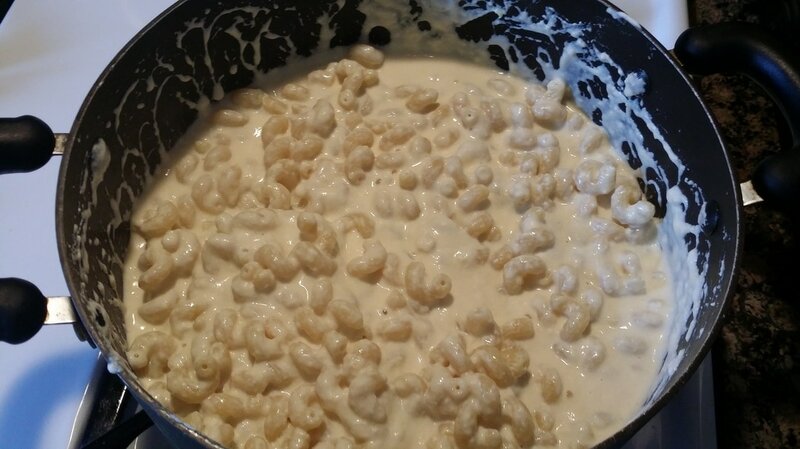 Pour in milk/cheese mixture into the pot with the pasta and mix to combine it all. ​8. 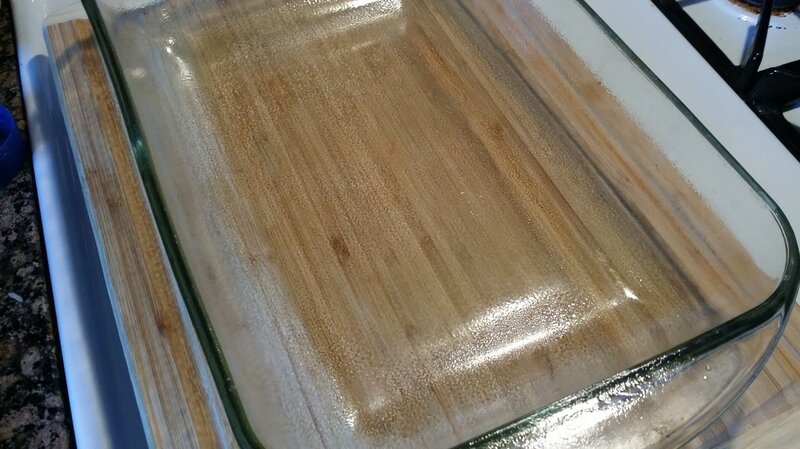 Spray a baking dish with non-stick cooking spray or lightly grease with butter. Pour in pasta mixture and sprinkle the remaining shredded cheese that was previously reserved. 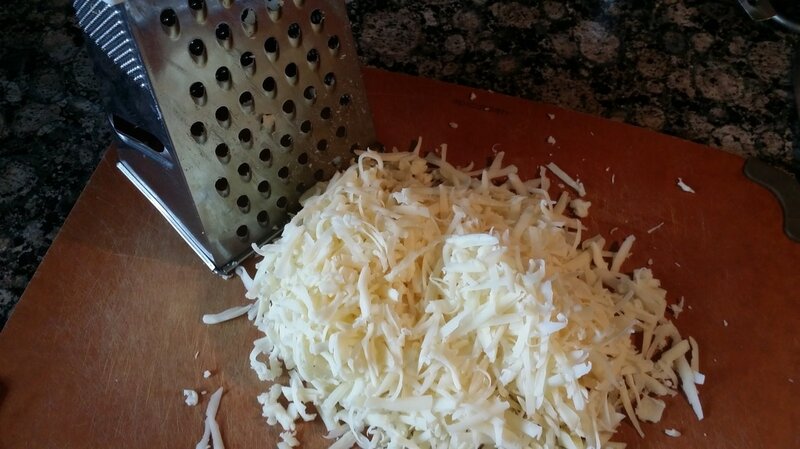 If desired, sprinkle parmesan cheese on top as well. 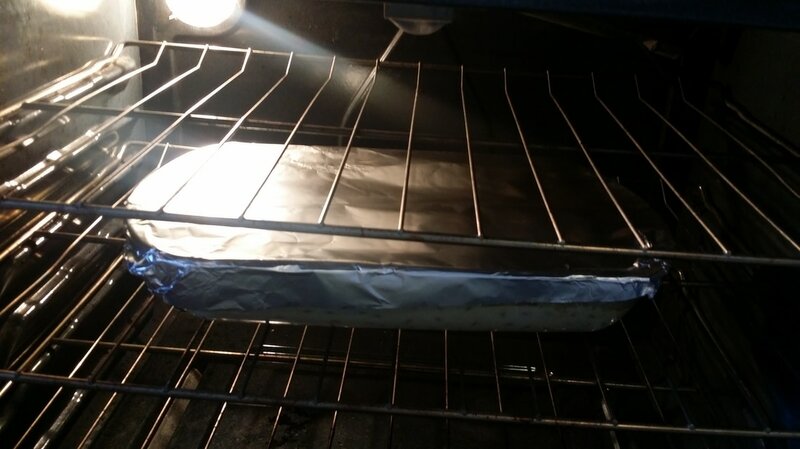 Cover the baking dish with aluminum foil. 9. 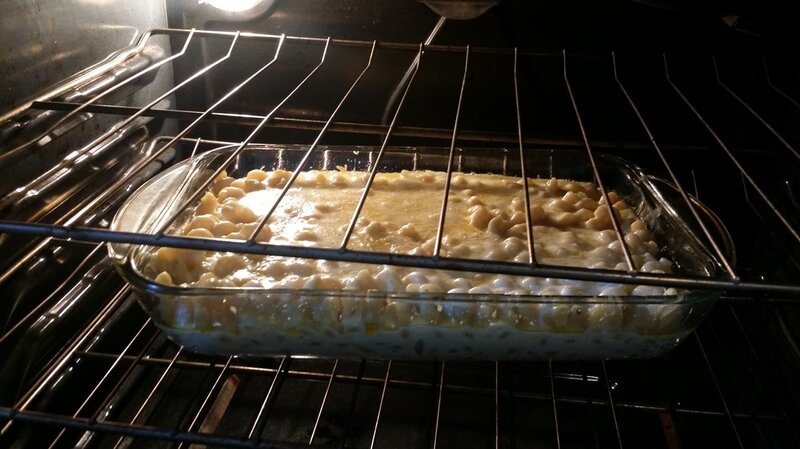 In a preheated oven of 350 degrees, place the baking dish with the cheesy pasta in the center rack. Bake for 25 minutes covered. Remove foil and bake for an additional 10 minutes. If desired, turn on the broiler to high and broil uncovered for approximately 3 minutes or until a light crisp/golden brown appearance develops. 10. Let stand 5 - 10 minutes before serving and enjoy. What are your thoughts on this recipe? How do you like your mac & cheese?